First off, congrats girl!! This is what you’ve been waiting for. That gorgeous ring on your finger means you. are. getting. married! You answered ‘YES’ to life’s sweetest question, and now It all just feels like a dream, yet it is totally happening! And there are so many things to think about, but no need to stress. Wedding planning with your fiancé (yeah that has a nice ring to it 😉) is as sweet as icing on the cake! Though often overwhelming, this will be one of the most exciting and memorable times of your life. So make sure to continue celebrating throughout the process and savor these precious moments with your love. By starting early and getting ahead of the game, you will be making strides toward having your dream wedding without the headaches that can often come with wedding planning. Getting the big decisions out of the way will leave you with plenty of energy to handle the smaller tasks that will pop up later on. It is probably pretty likely they know this is happening and are patiently waiting to celebrate with you! Be sure to make phone calls to the special people in your life, too, like your siblings and BFFs. There is no strict order just make sure that your people hear the happy news from you personally and not your social media post. Trust us, everyone is going to be asking to see your ring for the next few weeks, so make sure your nails are looking their best, whether that is au naturel or sparkling acrylics. This way you won’t be worried if they notice your chipped nail polish. Feel free to take some time keeping it on the DL to enjoy it for yourself. When you are ready to let social media in, take a ring selfie or upload a photo of you and your fiancé to share the news! If you had a secret photographer capture it all on film or if it was just you two and you took selfies, it does not matter. Your people will just be happy to share in this moment with you. This can mean planning an engagement party or gathering close friends and family to go out to dinner. It can even be just the two of you. Either way set aside a time to celebrate because being engaged is so worth toasting! While talking about dollar signs is not the most exciting aspect of your big day, it is one of the most important. Sit down with your fiancé and both sides of parents to decide what kind of funds you are working with. Your wedding day will likely be one of the biggest and most expensive parties you have ever hosted. Setting a flawless wedding budget will help you get a dream wedding you can afford! Your wedding gown is one of the most sentimental, personal and emotional purchases of your life! You will want to feel prepared to find a dress that flaunts your best assets and is true to YOU! You can find out a lot online: by reading reviews and checking out a shops FAQs page. Things like designers, price point, what to expect, how long appointments are, if you need to book an appointment, and so much more. 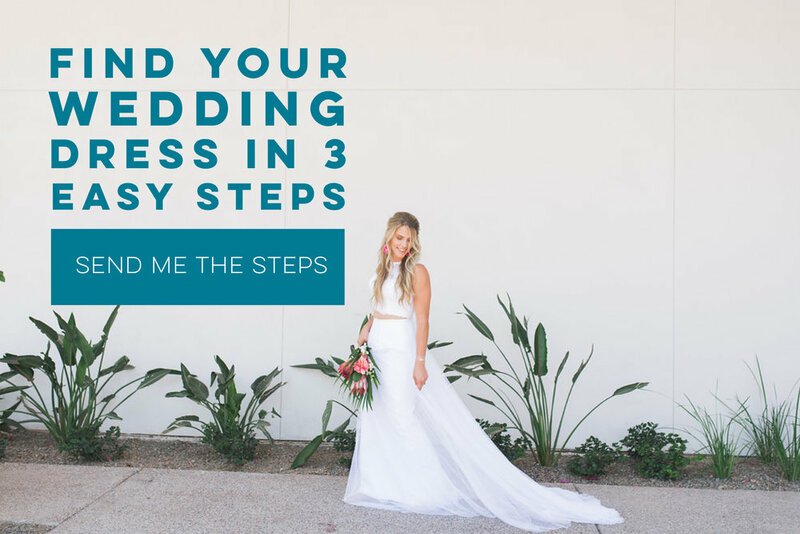 Once you have decided where you want to shop, check out ‘Three Steps To Find Your Wedding Dress’ for tips on how to know when you’ve found THE one. Over time tastes and styles change, so you will want to find the perfect look that reflects your vibe and who you are as a couple. One of the best ways to figure out what you like is to get inspiration from Pinterest. This will help guide you through important decisions such as: decor, florals, color scheme, bridal gown, hair, makeup, bridesmaid dresses and the like. You may want to choose a date that is symbolic to your relationship, or you may want a holiday wedding. Either way your wedding date will be a significant factor in deciding which vendors you will hire. Popular dates and vendors book up quickly, but can also cost you more money. Having your wedding on a weekday or during off season can save you hundreds of dollars. After deciding the budget, you and your spouse-to-be can realistically discuss the details of your day. For example, are you both looking for something more intimate, with a guest list limited to close family and friends? Or are you looking for a large, formal party with invitations extended to everyone in your circle? 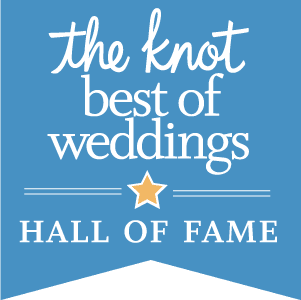 Once you have come to an agreement on the look and feel of your wedding, you will be able to move forward in: creating the guest list, selecting wedding vendors, and choosing the venue. Whether you are planning to stay local or travel, you will want to dedicate time (and funds if necessary) to visit your desired location at least twice before the big day. You will want to bring a venue checklist with you to ensure all your priorities are met before committing. The initial tour can count as visit number one, but visiting a second time about three to four months before your wedding day will give you the opportunity to make sure you aren’t missing anything. You will be able to double check your plans will work with the given space and give you much needed peace of mind in your final months of wedding planning. Once you navigate these important decisions, you will be able to take a deep breath and know that the foundation for your wedding planning is set! You can refocus your energy on your relationship, and why you decided to tie the knot in the first place. It truly is a once-in-a-lifetime experience, so don’t forget to enjoy it! A special thank you to Abigail Golder for creating this lovely resource for future brides. She just tied the knot this past September and graciously wrote us this post to give brides a helpful starting point wedding planning. Hope you are enjoying newlywed life Abby!